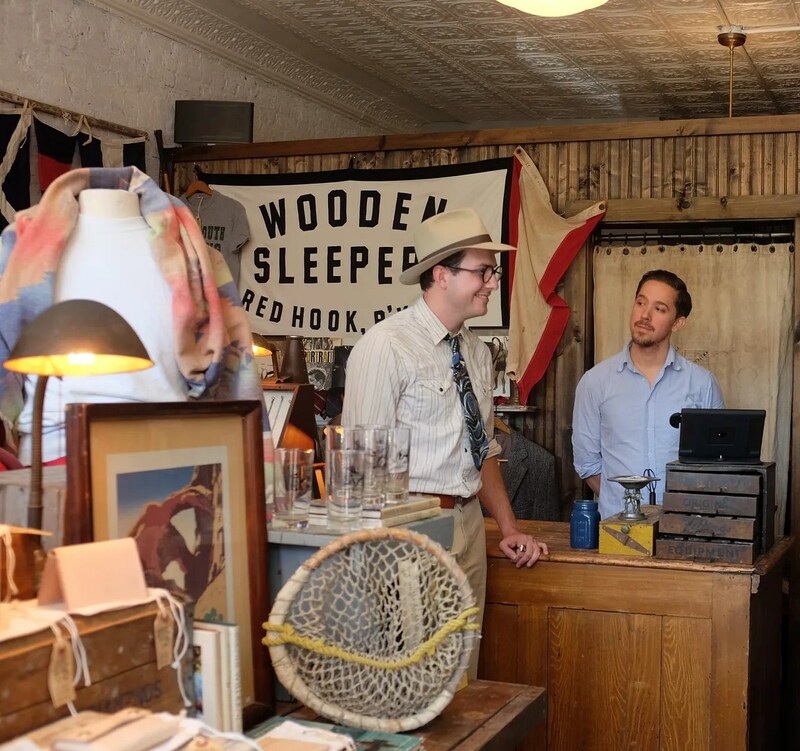 A couple of weeks ago, I had the pleasure of visiting Wooden Sleepers, a vintage menswear store in Red Hook and chatting with its owner, Brian Davis. 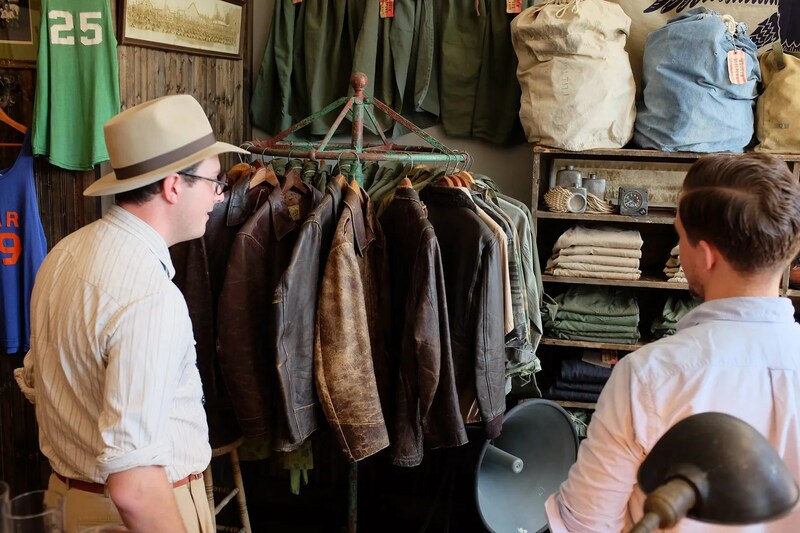 If you have fifteen minutes, watch the video below for a cornucopia of vintage denim, leather, canvas and more, and for some serious geeking out. 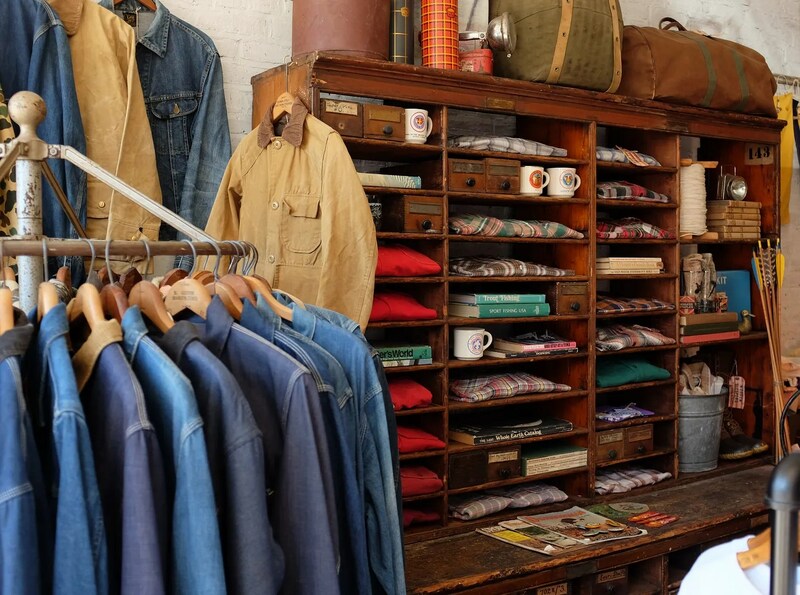 The front of the shop, with vintage coveralls, denim and army jacket displayed. 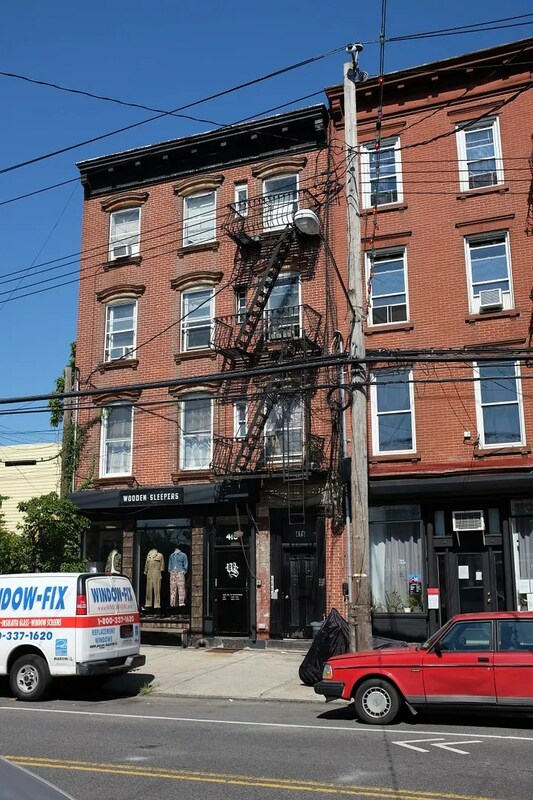 The store is about a block and a half from the water. Vintage blanket jacket and well worn wooden fixtures. 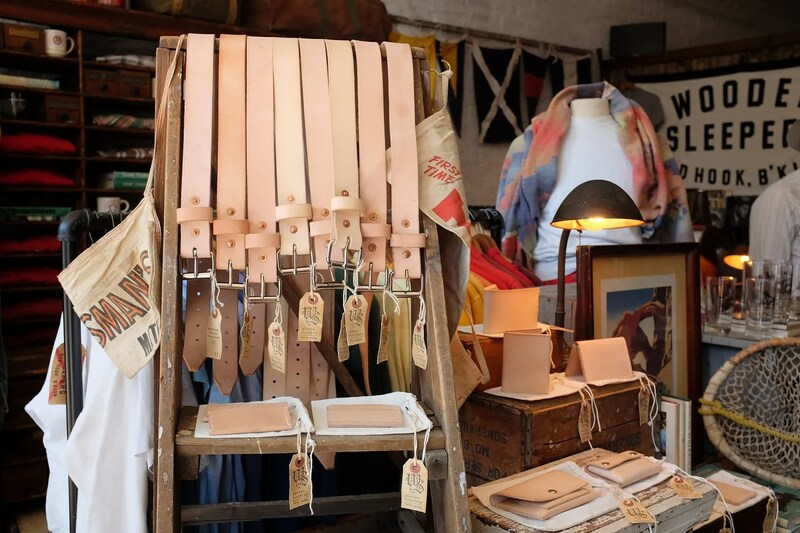 A touch of modern handmade goods, designed to patina with age and usage. 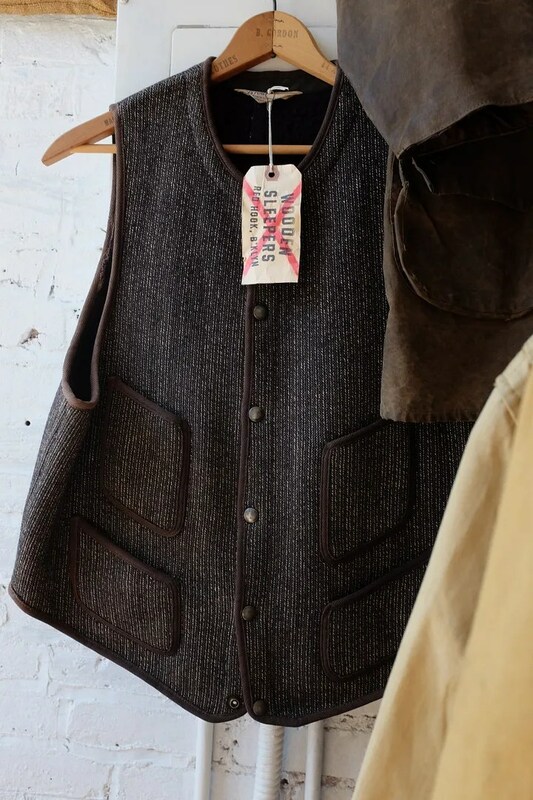 Vintage denim and hunting jackets. The leather section, with an emphasis on 1940s civilian models.